Well, I thought I was done with reviews involving giveaways last week but when a publisher offers you and one of your readers a copy of a cute storybook, how can I in good conscious refuse? So, I hope you'll indulge me for another giveaway here. 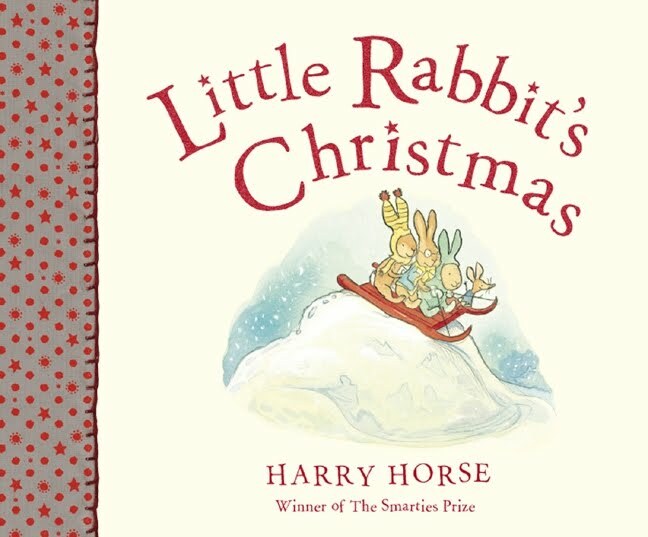 Little Rabbit's Christmas tells the story of Little Rabbit who wants a red sled for Christmas. It's the only thing he wants and he bugs his parents for it. On Christmas morning he discovers that he has received the coveted gift. All of his friends and family are in awe of it but Little Rabbit is feeling a tad bit possessive of it and, quite frankly, has a very bad attitude when it comes to sharing. In the end, he discovers that having a sled is really only fun if you DO share it with your friends! I thought this storybook had a great message for youngsters who eagerly anticipate and await Christmas gifts and treats and then are called upon to share them. We're kind of in that stage where we have our prized items that we don't want to share and we've been talking a lot about kindness and sharing with others (primarily our brothers.) I thought this book fit in perfectly with the season of gifts and giving and thought the subject matter was tastefully handled. Little Rabbit isn't too bratty (so that you can't stand actually reading the story) and he learns his lesson fairly quickly and in a positive manner. The illustrations, also by Harry Horse, are adorable and I liked this book very much. As I mentioned, Peachtree Publishers offered up a copy for myself and one of my readers. Would you also like to share this story with your children, or young ones that you are close to? Simply leave a comment below! This contest will be open through Monday, December 13th. THIS CONTEST IS NOW CLOSED. THE WINNER (as selected by random.org) IS #20 - Linda Kish! Congratulations! Again, Merry Christmas from myself and Peachtree Publishers! AWE...bunnies, Christmas, and SHARING? We need this one! I went and wandered around Peachtree Publishers, what a great site! They have some wonderful looking books and we would love to start our collection with this one. Thanks for the opportunity. I would love to win this book for my 4 and 2 year old boys who are having troubles these days with sharing! My email address is laarlt78 (at) hotmail (dot) com. This looks like a great book...my older daughter is right in that having trouble sharing spot. Thanks, Carrie! Looks adorable! I'd love to share this book with the little ones in my life! Thanks for offering this giveaway. I think my nephews would enjoy this book. A book about sharing? Yeah, I think we need a little of that around here!! I would love to be entered. It looks really cute! I would love a shot at winning this please! Thanks! Aw.. 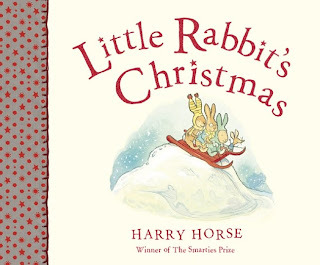 I just adore christmas children's books! this looks like a Z girl book! I would share it with the little ones I know, and I love children's books myself! Also, this may surprise you, but I would share it with teenagers, too! I tutor English as a 2nd Language students, and this is such a fun way for them to learn English! Thanks so much for a chance to win this book! I'd love to win!!!!!!! I would like to read a book that addresses the sharing issue well on a young child's level- I'll have to try this one out. I'd love to share this story with my little grandchildren. This would be a great book to share with the little ones in the family during the holidays. Thanks. I LOVE books like this...what a wonderful giveaway. The kids would really enjoy this. Thank You! I would love to win this book and share it with my preschool class!